Interval Running l Why Is It Important and What Are the Benefits? Before we discuss the benefits interval running and why it’s so important, let’s look at what exactly interval running is. The bases of interval running is when a person runs really hard for short amounts of time with longer periods of rest in between. The key is to do shorter spurts of fast running with high energy intertwined with equal or slightly longer periods of recovery in between. Before you start interval running, make sure you know how to warm up properly. An effective warm-up will raise your core body temperature and will also increase the blood flow to your muscles prepping them for activity. For interval running, the warm-up should start slow and then finish at the same pace as the workout so there is a smooth transition from the warm-up to the actual workout pace. After the warm-up, run for two minutes at a hard pace. Follow this with two-to-three minutes of easy jogging or walking to catch your breath. This is very important because your body gets stronger and adapts better in recovery mode. If you’re a beginner, you’re running intervals may be only 30 seconds and that’s okay as long as you increase the number of sets over time, but not before you’re ready. Doing so before you’re ready runs the risk of injury and loss of form. How Often Should I Do Interval Running? As with any intense workout, you should not do interval running everyday. If you don’t allow your body and mind to recover, you can damage your motivation, become to tired, and perhaps injure yourself. For example, if you’re used to running three days a week, you could set aside one of those runs for an interval training session. Sound good? Looks look at the benefits of interval running! Before we dive deeper into some of the benefits listed above, let’s discuss an added bonus of interval running. The stop-and-start pattern of interval running trains your body to recover quickly between bursts of faster running. Over time, this will gradually increase your body’s ability to run faster for a longer amount of time. In addition, to the items listed above practicing interval training in general comes with some exciting health benefits such as; a lower risk of many chronic diseases, such as heart disease, type 2 diabetes, stroke, and some cancers. Let’s dive a bit deeper into some of the benefits listed above. If you practice interval running on a consistent basis, you will see an increase in your self-esteem and self-motivation level. You will also notice your body will burn it’s own fat thus leading to losing weight at a faster pace. Not only will this decrease your stress but the act alone of running, resting, and repeating will decrease your stress by releasing endorphins. Endorphins increase your energy and your mood. These all are wonderful benefits aren’t they? Keep in mind though, doing interval running is hard work on the entire body so let your body adapt at it’s own pace. Don’t push yourself to much. If you’re not ready to go outside to do interval running out in public, there is another option using a treadmill. Yes, these machines do allow you to practice a HIIT session inside your own home. This is not only perfect for those not wanting to go outside, but also is good for those who want to start off slow and work your way up, literally. Here is a break-down of how to do this, just note you can choose to walk or jog. Withing time you will see a change in your fitness level. This is the time when you can increase the incline to give yourself a good workout as your body is adapting to the stress of the exercise. No matter if you’re doing interval running outside or inside, just as a pre-workout warm-up is important so is the cool down afterwords. By cooling down, you are naturally letting your heart rate fall by walking it off. This is crucial for avoiding injuries and dehydration. Interval training is hard work on the entire body, but particularly the heart, lungs, and muscles. If you’re someone that has not exercised in a long time or consider yourself to be out of shape, you need to get the all-clear from your GP before starting. It is advised to have a good level of overall aerobic fitness before performing high-intensity training of any kind. Not a runner, but want to try some other interval training exercises. Here are some fun but challenging exercises from verywellfit.com that we thought you should check out. 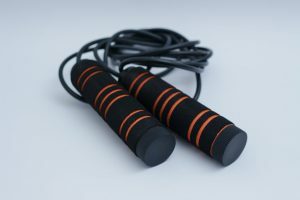 Jumping rope – Jumping rope sounds easy enough, but it really is a great exercise. Just because something is easier and fun doesn’t burn it does pack some incredible benefits. If done correctly, it can improve cardiovascular fitness, balance, agility, and strength. It’s also a cost-effective way to shed some extra weight. For a 100 pound person, jumping rope can burn 500 calories per hour. Stair running – You don’t need hardly any equipment for this exercise, just some stairs. Did you know running stairs provides a cardiovascular benefit similar to that of running? It also is a wonder way to build strength and endurance so you can sprint easier. 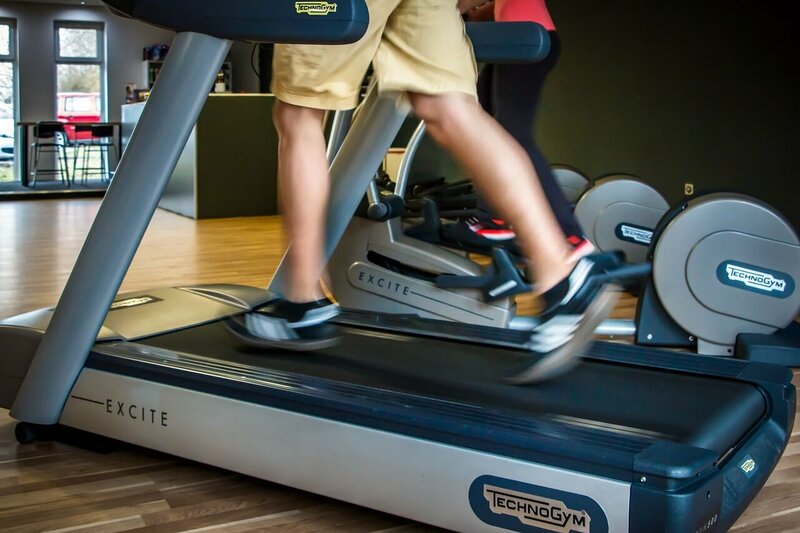 A person weighing 160 pounds can burn 191 calories within 10 minutes. Awesome, right? Burpees – We understand that most people just don’t like burpees because they are challenging, but they are a wonderful full body exercise. For someone who weights 155lbs every one-minute of consistent burpees done correctly, you can burn 10 calories. Shuttle sprints – While this form of sprints are commonly found in sports such as soccer, hockey, basketball, and tennis. Shuttle sprints are a standard agility and speed drill used by athletes who play stop-and-go sports. A 150-pound person would burn 20 calories per one minute of sprinting. Spinning – By joining a spin class, you can be rest assured you will burn a lot of calories. This is because most likely in the class you will do some high-intensity spin intervals. You don’t have to join a spinning class to get the same benefits. Using a stationary or spinning bike at home is one of the most popular forms of indoor exercise. While still indoors you will get a low-impact, high-intensity cardiovascular workout that builds both strength and endurance. At a high-intensity spin class you can expect to burn at least 400 calories. You won’t see the same results at home, but it should be able to burn 200-300 calories, which is still good. Tuck jumps – Tuck jumps are simple enough. All you have to do is start with your feet shoulder width apart and your knees slightly bent. Squat down and with power, jump straight up. Make sure to bring your knees toward your chest while in midair. Try to land gently, sink down to absorb the impact, and repeat the next jump. Pull-ups – Pull-ups are a simple way to build upper body strength. It’s cost-effective too! Just visit a playground or gym and you can do as many as you can. On a side note, because pull-ups are a strength builder not a cardio workout, you won’t actually burn a lot of calories. Also, you may be able to increase your metabolism with the muscle you’re building. Push-ups – This is an oldie, but a goodie. To get a free total body workout do some push-ups. Push-ups if done correctly uses muscles in the chest, shoulders, triceps, back, abs and hips. For those weighing 125 pounds you can expect to burn about 240 calories if you do 30 minutes of vigorous push-ups. Walking lunge with weights – This all-in-one exercise may not be everyone’s cup of tea, but it offers a lot of benefits. By including walking lunges into your workout you will build endurance, strength, and balance. All three of these benefits are great for athletes. V-Sit abdominal exercise – If you want to build core strength and tone your abs at the same time, look no further than the V-Sit exercise. It looks like a lot of what it sounds like. The V-Sit engages the rectus abdominis, the external obliques, and internal obliques. This exercise also engages the hip flexors. You lay flat on a mat with your arms extended flat above your head and your feet extended out. Then try to bring your hands and feet together. Thus, turning your body into the letter V.
Keep in mind the calories list will depend on your own personal weight. This is because it takes more energy to lift a heavier amount of weight thus leading to more calories burned. If you’re not really into exercises that are challenging or require running, look into how you can use interval walking for weight loss purposes.